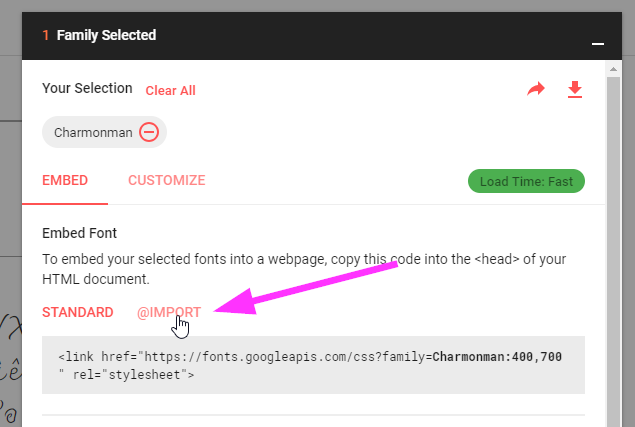 In this guide, we'll share how you can use a custom font in your popups. If you think your font is popular and should be included in our default font list, don't hesitate to contact us. 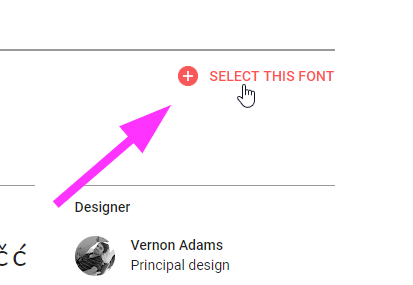 Open Google Fonts and look for your font. Once you've found it, click "Select this font" in the upper right corner. 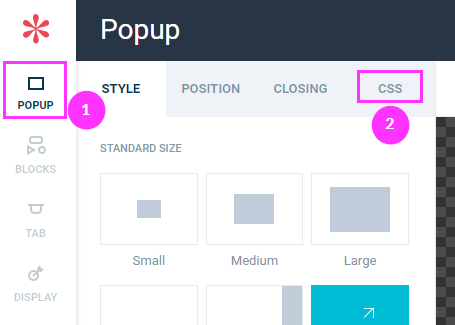 In the popup that slides up, select "Customize" and select the styles you'll need (for example, Bold and Italic). 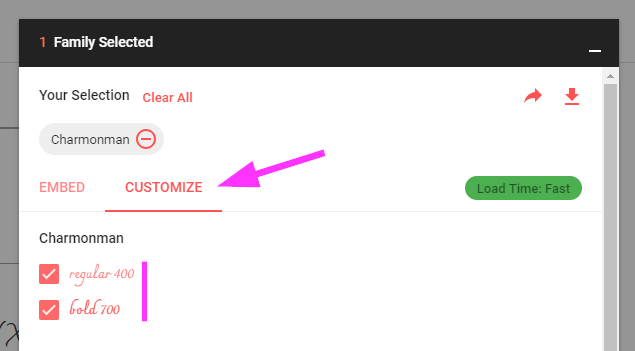 Click "Embed" and select "@IMPORT"
Log in to your WisePops account and open your WisePop. In the left menu, click "Popup" and "CSS"
Note: You might choose to skip the @import if you know that the font is already loaded into your website. However, the preview of the popup won't be exact without the @import. Paste it into the rule, at the place of /* Replace this line with the CSS declaration */ . You can add !important at the end of the declaration, to make sure that the rule will be used. In the previous example, we applied the custom font to the whole popup content. You might want to apply the font only to specific elements instead. You will need to replace the selector * by something less inclusive. You can find more info about the available selectors on this page.